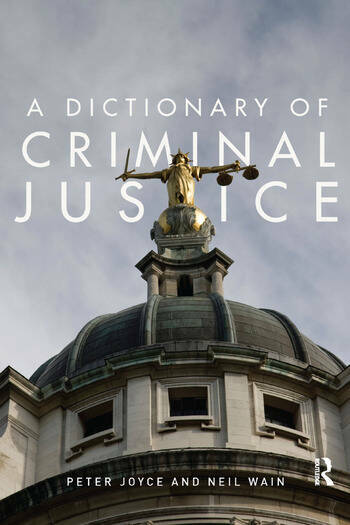 A Dictionary of Criminal Justice is the only dictionary that deals with criminal justice from a UK perspective, and in doing so provides a comprehensive guide to all aspects of the British criminal justice system, including its historical context and contemporary operations. The first three sections of the book explore in turn key definitions, key pieces of legislation and key documents that have helped to shape the operations of the criminal justice system, whilst the fourth details websites of particular relevance to this field. As such, this dictionary provides an extensive but accessible introduction to the important terms that relate to both the development and the contemporary processes of criminal justice. It also succeeds in placing the UK criminal justice system within an international setting through the inclusion of entries that acknowledge the global setting in which British justice operates. Guides to key legislation and documents are included, and each definition is accompanied by references for further reading, making this book an invaluable learning tool for both students and practitioners of criminal justice. Peter Joyce is Principal Lecturer in Criminology at Manchester Metropolitan University. Recently published works include The Politics of Protest (Palgrave, 2002), Criminal Justice (Willan, 2006), and Criminology and Criminal Justice: A Study Guide (Willan, 2009). Neil Wain is Chief Superintendent in the Greater Manchester Police and divisional commander of Stockport. He has been a BCU commander for three years, with considerable experience of working in partnership with local criminal justice agencies. Publications include The ASBO – Wrong Turning, Dead End (Howard League for Penal Reform, 2007) and numerous articles on youth crime.